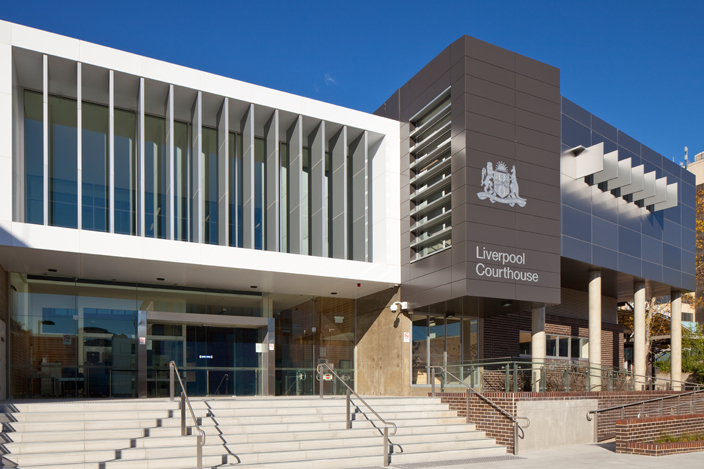 Sydney Criminal Lawyers® is a multi-award winning Specialist Criminal Defence Firm with offices directly opposite Liverpool Courthouse, at Suite 5, Level 1, 153 George Street, Liverpool – directly opposite Liverpool Local Court. Our wealth of specialist experience and local knowledge allows us to consistently achieve outstanding results in criminal and traffic cases in Liverpool Court. If you are going to court, we offer a Free First Conference with a Senior Lawyer who can advise you of your options and the best way forward. We also offer competitive Fixed Fees for most criminal and traffic cases, so you will know exactly how much your case will cost. For exceptional representation by the Criminal Defence Team at Australia’s Most Awarded Criminal Law Firm, call us 24/7 on 9261 8881 to arrange a free conference. Liverpool is a Suburb in Sydney’s South West approximately 32 km from the Sydney CBD. The former Liverpool courthouse is one of the oldest courthouses still existing of the mainland of Australia, however ceased to be the courthouse in 1972. The current courthouse is located on George Street. Regular bus and train services run to the area from all over Sydney.